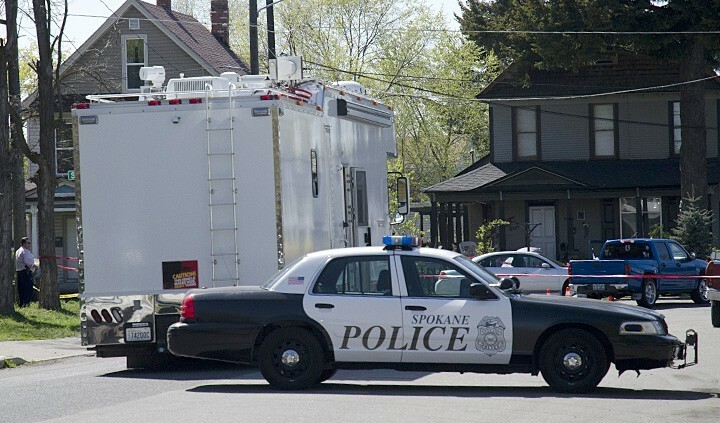 Spokane police were involved with three shootings in five days. In March, the Inlander's exposé of Washington state's massive PROPERTY CRIME problem described a unique trait of the state: Despite having the highest property crime rate in the nation, offenders convicted of property crimes are rarely given any supervision after they're released. An attempt to fix that last year passed the Republican-controlled Senate but went nowhere in the Democratic-controlled House. On Monday, the Spokane City Council unanimously passed a resolution, sponsored by Councilwoman Lori Kinnear, to include "efforts to supervise property crime offenders" and "prioritization of property crime reporting by police departments" in their list of legislative priorities for 2017. "The property crime situation has almost reached an epidemic level in all of our districts," Councilwoman Candace Mumm says. She also stressed the importance of citizens reporting crimes whenever they occur. "I strongly agree that supervision is a prevention method," said Councilman Breean Beggs. "Supervision is always way cheaper than prison." He pointed to the governor's 2015 proposal to slightly decrease the amount of time that offenders were sentenced to prison in order to pay for expanded supervision. Aaron Johnson was shot Monday by Spokane police at the West Wynn Motel after officers responded to reports of a dispute involving a knife and a gun, according to a news release. The shooting was the third by SPOKANE POLICE in a matter of five days and the second time they shot Johnson in the past two-and-a-half years. In the first of the three recent incidents, police shot and killed a reportedly suicidal man outside the House of Charity on April 28. Witnesses say the man, identified as Michael S. Kurtz, was armed with a knife and told officers to "kill me, kill me." He died on scene. The second shooting occurred early Sunday morning in front of a downtown bar. The man was reportedly threatening people with a machete and is expected to survive his injuries. In the third incident, the police shot Johnson in his motel room, but it is unclear if he made any threatening moves prior to being shot. Johnson, diagnosed with paranoid schizophrenia, was kicked out of a halfway home and had been living temporarily at the motel until his family could find him an apartment, according to his aunt Judy Noritake. "It's really difficult if you're a convicted felon with mental health issues to find someone to rent to you," she says, adding to her call for improved mental health treatment in a 2014 op-ed. "It seems like we have psychiatric wards and prisons at one end of the spectrum, and at the other there is outpatient care, and in the middle, the solutions for people to live as adults but with necessary supervision is almost nonexistent." In January 2014, Johnson was shot at least eight times after he flashed a knife and charged at police in an alley behind a homeless shelter, according to officers' accounts in court documents. Johnson said he did not have the knife in his hand. He now has chronic back pain and limited use of his left hand as a result.